Presto Liftstik Compact | T.P. Supply Co.
You have light lifting and transporting needs, and you love the idea of LiftStik lifters but the standard lifter is a little more than enough to fulfill your needs. In that case, you want Presto LiftStik Compact. It has all the features you love in the Presto LiftStik in a more compact version. How Does the Presto LiftStik Compact Work? If you are familiar with the Presto LiftStik, you know that this lifter is a flexible tool that allows you to lift loads up to over 400 pounds with a continuous lifting chain and no hydraulics. 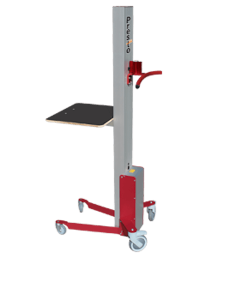 The LiftStik provides precise load positioning with zero drift. The Presto LiftStik Compact offers you the same convenience in a lighter, more affordable, more portable design. Able to lift loads of up to 150 pounds, this lightweight aluminum piece of equipment features an ergonomically-designed handle with simple fingertip lift control, a lifting speed of 4 and ¾ inches per second, four swivel casters with foot operated locks on the wheel casters and a design allowing it to bear the load directly over the wheels for maximum stability. You can enjoy over 48 inches of vertical travel, and the Presto LiftStik Compact can load at any height up to 53 inches high. What Types of Industries Can Make Use of the Presto LiftStik Compact? 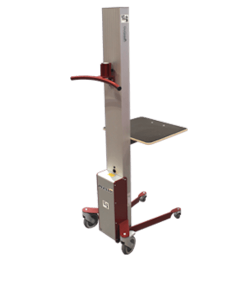 The Presto LiftStik Compact is perfect for a range of industries, including offices, retail stores, food processing facilities and light manufacturing. Businesses frequently use the Presto LiftStik Compact in assembly rooms, laboratories, work cells, stockrooms, warehouses and more. Your employees will love the convenience these lifters provide. They take stress off your workers, can speed up workflow and can reduce the chance of injury or damage to your goods. Why Should You Choose T.P. Supply Company for Presto LiftStik Compact Equipment? T.P. Supply Company is your ideal source for all Presto Lift equipment, including the Presto LiftStik and the Presto LiftStik Compact. When you contact T.P. Supply Company, we can get you whatever Presto LiftStik Compact equipment you need right away. We have both the 19” x 19” platform and 17” x 15” platform version and are able to supply reconditioned and used equipment along with brand new Presto Lift equipment to best suit your budget. We can bring you as many Presto LiftStik Compacts as you need on our own trucks, using our own personnel. 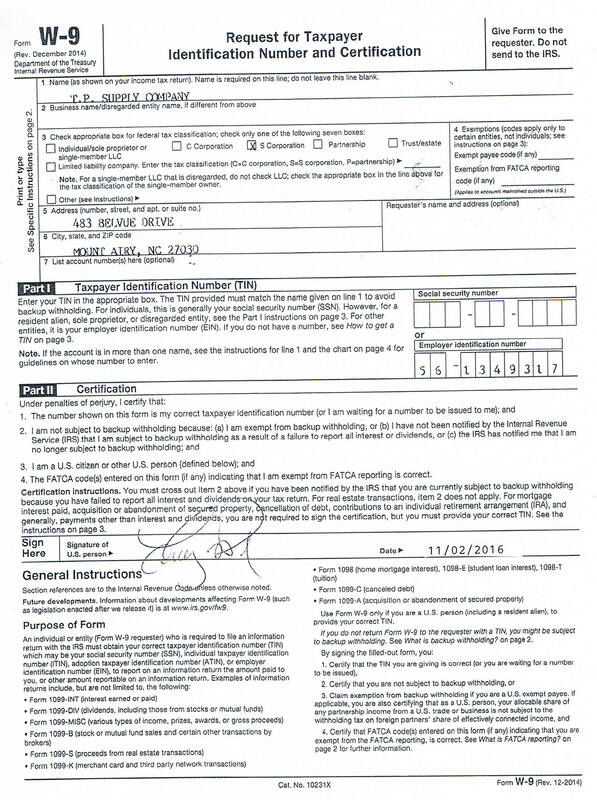 We don’t trust any subcontractors with any of your precious equipment, only people and equipment that we have rigorously verified ourselves. We are sure you will love the convenience of the Presto LiftStik Compact. If you like the idea of streamlining your operation with Presto LiftStik Compact equipment, there’s no reason to wait. We are ready to fill your order today. If you need any more information about Presto LiftStik and Presto LiftStik Compact lifters, or you’re ready to order yours now, call us toll-free at 877-302-2337 or contact us online. Ask us about our bulk rate for large orders, too!